For those wanting to learn yoga, but don’t know where to start, Sadhguru answers some common questions from “yoga beginners” seeking to understand the path, choose a practice, find a teacher and more. 1. What is yoga and what is the role of asanas in yoga? What do we seek to achieve through yoga? Sadhguru: Yoga is not an exercise form as is commonly misunderstood today. “Yoga” literally means union. Modern science proves that the whole existence is just one energy – but you are not experiencing it that way. If you can break this illusion that you are separate, and experience the oneness of existence, that is yoga. To lead you towards this experience, there are various methods. Asanas are one aspect. There are other dimensions to this, but to put it simply, if you observe yourself, when you are angry, you sit one way. If you are happy, you sit another way. If you are depressed, another way. For every level of consciousness or mental and emotional situation you go through, your body tends to take certain postures. The converse of this is the science of asanas. If you consciously get your body into different postures, you can elevate your consciousness. Understanding the mechanics of the body, creating a certain atmosphere, and using the body to drive your energy in specific directions is what yogasanas are about. Sadhguru: Yoga is a subjective technology, not an objective technology. Whether someone comes for relief from backache, or to explore mystical dimensions, initially, we teach the same thing because it is the change in subjectivity that makes the same device do different things for different people. So, when something is placed in your hands that is far more profound than you are able to grasp right now, it is important that you keep yourself in a certain way – the person sitting in front of you is a more important life than yourself. This is known as upasana. Upasana means you are not sitting on the main seat, you take a side seat in your own life within yourself. For one who wishes to impart yoga, the most important thing is to stand aside – to be there but to stand away. If you can do this, then dimensions beyond your understanding and experience will open up. And this is a great blessing because if you can do something way beyond yourself, that is the greatest thing for any human being. 3. Today, there is social media, YouTube and other mediums that teach yoga while the viewer sits at home. Is it safe to pursue yoga in such manner? Sadhguru: Yoga needs to be handled in an extremely committed atmosphere because it is a tremendous tool for transformation. If something has the power to transform, it also has the power to cause damage if mishandled. However, there is something called upa-yoga, which gives you physical and psychological benefits but doesn’t touch the spiritual dimension. Upa-yoga does not demand that level of commitment nor does it cause any problem if you do it improperly because you cannot do it improperly – it is very simple! In Indian vernacular languages, the word upayoga, has come to mean something useful, but actually it means sub-yoga or pre-yoga. This can be learnt in five minutes. You can practice it anywhere and the benefits are quite immense. Upa-yoga is a safe way to take yoga to the world large-scale. 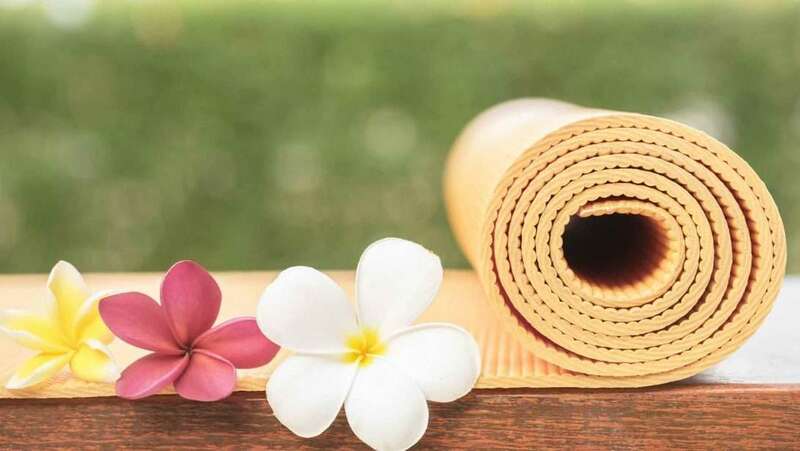 Once people experience the benefits, they will naturally seek yoga in a more serious manner, and that is when yoga should come into their lives. 4. Yoga has gained tremendous exposure outside of India, but it has also given birth to other yoga practices such as pool yoga or neon yoga. How does this affect the practice of yoga? Sadhguru: There will always be enterprise around whatever becomes reasonably popular. We should not be distracted or disturbed by these. Are they teaching it properly? There are question marks about it. Some of them are teaching it properly, some are not. These manifestations are a result of the commercial process. But it is only on the surface that these distortions are happening here and there. The core of yoga is not disturbed in any way. 5. There are many institutions offering yoga classes. How can one identify a true yoga guru? Sadhguru: There is no such thing as a true guru and a false guru. It is just that there are “spiritual entrepreneurs”. There used to be a quality control in spiritual movements in the past, but after being an occupied nation for 1000 years, these things are gone today in India. So there are lots of funny things happening, but what you have to do is evaluate whether it works for you or not. What is offered to you, put it into your life – if it works, keep it, if it doesn’t work, throw it and look for something else. 6. There is so much talk about yoga but how can one follow the path of yoga in its true form? Sadhguru: Yoga is not a morning-evening kind of practice. There is a practice but that is not the only aspect. Every aspect of your life, the very way you walk, breathe, interact – everything should become a process of yoga. Nothing is excluded from this. Yoga is not something that you do. Yoga is something that you become. It is not an act, it is a quality. If you cultivate your body, mind, emotions and energies to a certain level of maturity, a certain quality arises within you. That is yoga. Do the practices bring that quality? Definitely, but we do not teach it as some kind of an act that you do only for a few minutes a day. If you take care of your garden well, there are flowers. In the same way, if you take care of what you call “myself” well, flowers will bloom. That means, being peaceful, happy or joyful is not determined by anything outside of you, it is determined by you. This is something that every human being must do to himself. Yoga is a subjective tool for this to happen. Editor’s Note: Learn Isha Upa-Yoga now. These 5-minute processes are easy-to-practice yet potent tools from Sadhguru to enhance health, joy, peace, love, success and inner exploration, helping one cope with the hectic pace of modern life and realize their full potential in all spheres of life.